How to clean your teeth thoroughly! —some key points and steps for cleaning your teeth! Teeth are an important part of the mouth. Every day, it help to digest food by bite. Therefore,mouth is the most invasive place for bacteria. How to properly and effectively clean teeth is the key to ensuring healthy teeth. Now share nano share some key points and steps for cleaning your teeth! shareusmile How to clean your teeth thoroughly -Common method is to brush your teeth. Make sure to brush at least once in the morning and evening, so that the residue of food will not stick to the teeth and damage the health of the teeth. Before brushing your teeth, you should choose a soft and comfortable toothbrush. Traditional manual toothbrush has certain limitations in cleaning method and angle. You can choose electric toothbrush with ultrasonic function. The ultrasonic vibration frequency is up to 31000 times per minute, which is faster than manual brushing frequency. And can receive more dead corners that are not cleaned. It is a good choice for those who have a bad tooth brushing habit and want to have a convenient picture. Each time for brushing should be about two minutes. The time is too short to achieve adequate cleaning, and not too long, so as not to cause damage to the gums. First clean the outermost teeth, brush up and down along the teeth, then slowly brush the teeth on both sides along the mouth, turn the wrist, and let the toothbrush sweep up and down in the mouth instead of brushing back and forth. Be careful not to use too much force to avoid bleeding from the gums. After brushing the outside, you can clean the inside of the teeth in the same way. Second, pay attention to cleaning between teeth. The adjacent surface of the tooth and the interdental space tend to accumulate plaque, which is a part of the periodontal disease. It is difficult to remove the plaque from the tooth by brushing. Flossing is currently the most commonly used tool, but there are also many studies that show that flossing is used more, and the contact area will wear out. It is often used badly every day. Therefore, it is recommended to use a mouthwash or a jet tooth cleaner. If you have no conditions to brush your teeth after meal, you can use mouthwash instead. You can also use a jet-type tooth cleaner. The principle is similar to that of mouthwash. It is also to remove the residual food residue in the teeth by the flow of water and air, cleaning stubborn tooth stain. For people who have been smoking for a long time and whose are already terrible teeth , the tooth powder can do good descaling and multi-directional cleaning. 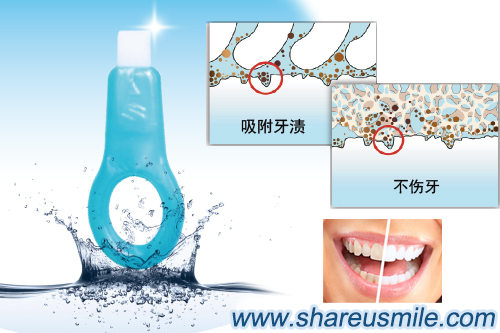 Shareusmile teeth cleaning kit can quickly and effectively remove tartar, tea stains, coffee stains and other tartar on the tooth surface; just use water, do not hurt the tooth glaze. The two products can be effectively combined to quickly remove tea stains and stains. Many ways to clean your teeth, but the most important thing is to develop a good habit of caring for your teeth. A good tooth can not be brushed out in a day or two. It is important to keep your teeth clean in the right way every day. It can protect our oral hygiene and healthy teeth.